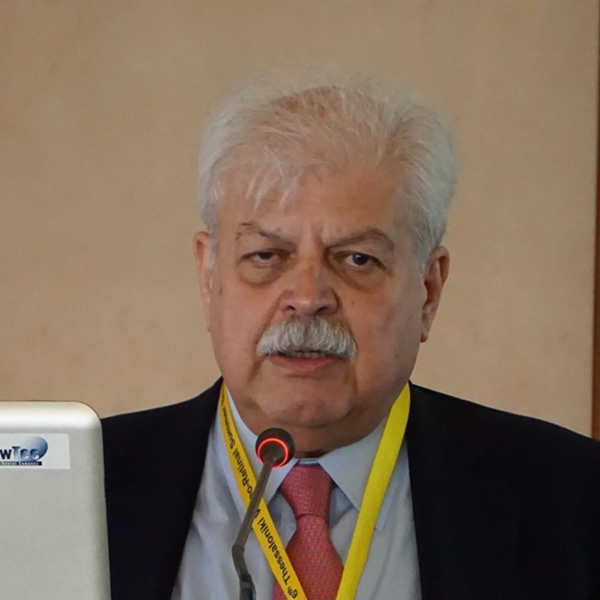 Leonidas Zografos, MD, is Honorary Professor of ophthalmology and Consultant at the Jules-Gonin Eye Hospital. His research activities and clinical practices are focussed mainly on the diagnosis and conservative management of ocular tumours as well as the development of pioneering radiotherapy techniques in ophthalmology. In 1984, he introduced the proton beam irradiation in Western Europe for the treatment of intraocular tumours and significantly contributed to the development and the diffusion of this therapeutic technique in Europe, where this therapeutic modality has become particularly popular. Dr Zografos has an international reputation in the field of ocular oncology and has received numerous honours and distinctions. In 2009, he was nominated Commander of the Phoenix Legion of the Hellenic Republic. In 2003, he was nominated Doctor Honoris Causa in medical science of the University of Alger. In 2004, he was nominated Doctor Honoris Causa, Faculty of medicine of the University of Athens. He is a regular member of several national and international ophthalmological scientific societies. He has authored or co-authored over 163 original articles and 136 book chapters, reviews or letters and he was the principal author and editor of the 2002 annual report of the French Ophthalmological Society on intraocular tumours.